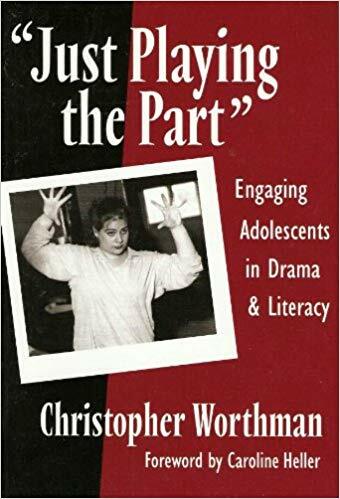 Chris Worthman wrote the book "Just Playing the Part: Engaging Adolescents in Drama and Literacy" based on his observations and participation with the Free Street ensemble. His book was his dissertation to earn his Ph.D. from the University of Illinois. His book is available for sale. It includes the full script of Body House, Chris served as a Free Street board member from 1999-2004, including time as Board President. Chris is currently a professor of Secondary English Education and Director of the Secondary Education Program at DePaul University. I walked into Free Street for the first time in early fall 1996. I was looking for a place to collect data for my dissertation and knew I didn’t want to spend time in a school like everyone else in education was doing. I saw a poster outside Pulaski Fieldhouse announcing auditions for TeenStreet, the teen ensemble, and was drawn to the idea that youth would create the ensemble production over the next six months or so. The idea of youth creating—of youth writing, moving, singing, making art with their lives—appealed to me. It struck me as what humans innately do…until they go to school and aren’t allowed to do it anymore. I climbed the stairs to the third floor and walked across the lobby to the open door of the office. Ron was sitting at a desk close to the door and looked up. I gave him a 30-second spiel of who I was and why I was there and asked if he could tell me more about the ensemble because it really sounded interesting to me as someone with no arts background to speak of and interested in literacy theory and writing instruction. It felt like Ron had been waiting for me to show up. He immediately sat me down and talked to me for 45 minutes about Free Street, its history, the TeenStreet ensemble, and his plans for this year, and, yes, if I wanted to “hang out” I could—no questions asked. Obviously, Ron wasn’t waiting for me to show up. He was just being Ron, doing what Ron does—always—which I would learn over the next few years was what he and Anita and Bryn instilled in all the teenagers with whom they worked. They treated the teenagers with respect, that is, they treated them like the brilliant, creative, imperfect human being they were, who through a combination of brilliance, creativity, and imperfection could upset the order of the world and shake anyone and everyone who paid attention to his or her core. Every moment I spent at Free Street shook me to my core. 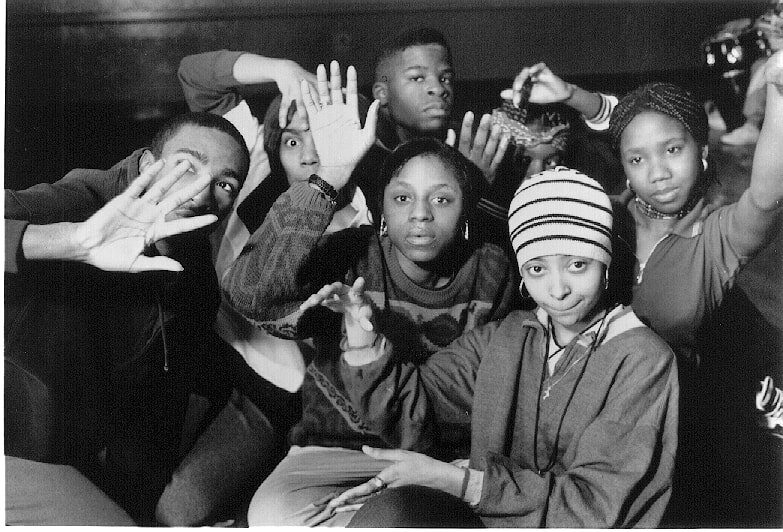 The two productions I watched TeenStreet create--Mad Joy and Body House—still stand out as the most profound, most beautiful theatre productions I have ever seen. Because of TeenStreet, I now find sitting through most, if not all, scripted, linear productions to be tedious and uninspiring. They lack the energy, the risk-taking, the reality that was infused into Mad Joy and Body House. I had only planned to stay with TeenStreet for one year—one ensemble production—but decided after that first year that I had to come back for a second. There was so much I was learning and still had to learn. After two years, I knew enough to talk about TeenStreet and what it did for teenagers and why that was important. I knew enough to write a dissertation. 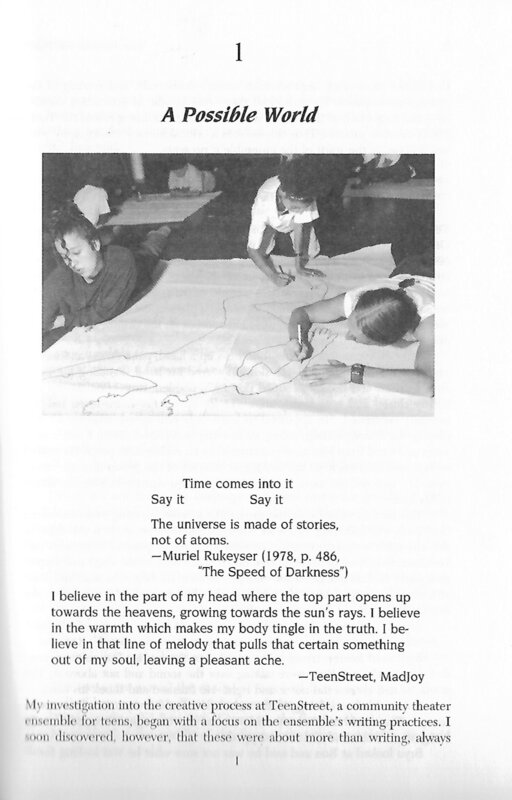 What I knew was that the way in which these two productions were created—the months of movement, dance, writing, singing, and interacting—and the nurturing and modeling provided by Ron, Anita, and Bryn are models of the educative process and of master teaching. That is what I wrote about. I knew too, however, that I could never do it, at least not the way they did it. And to be honest, having seen people work with teenagers for many years before I met Ron, Anita, and Bryn—before those two years—and for many years since, I can say I have never seen anyone else do what they did with those teenagers those two years.